A son of a Breeders’ Cup Classic winner from one of the most productive female families of all time! EXPECT A LOT is a son of Breeders’ Cup Classic (G1) winner AWESOME AGAIN (sire of GHOSTZAPPER, GAME ON DUDE and PAYNTER) and a full brother to Preakness Stakes (G1) winner and Belmont Stakes (G1) runner-up OXBOW. 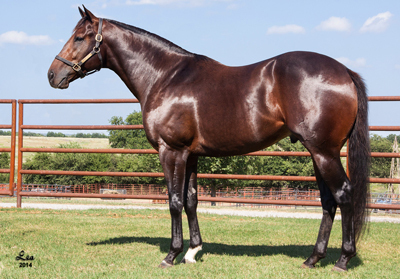 His dam is a full sister to Horse of the Year, two-time Breeders’ Cup Classic winner and top stallion TIZNOW and $2.8 million earner BUDROYALE. A half brother to EXPECT A LOT sold for $1.6 million as one of the top prices at the 2014 Keeneland September yearling sale. Tap into the incredible pedigree power of EXPECT A LOT.